For the past three decades, Eric L. Adams has served the residents of the city of his birth as a police officer, state senator, and coalition builder. In November of 2013, he was elected to represent all of Brooklyn as borough president. Born in Brownsville and educated in the City’s public school system, Eric is committed to ensuring Brooklyn’s bright future by helping each and every Brooklynite reach his or her full potential. Throughout his career, Eric has been an effective advocate for Brooklyn, bringing people and communities together to create progressive change, and working with both the private and public sectors to invigorate the borough’s economy by encouraging job growth and investment in every neighborhood. Whether his beat was on the street or in the halls of government, Eric has always looked out for Brooklyn’s working families and sought to protect our most vulnerable residents. He believes that government works best when everyone has a chance to be heard, and he has resolved to use his office to provide an opportunity for diverse groups to work together for the common good. Eric has also served on the board of the Eastern District Counseling Service, an organization assisting former substance abusers to live productive lives without dependency on drugs or alcohol. I speak with Brooklyn Borough President Eric Adams about his journey back to health using plant-based nutrition. Adams has turned his personal success into a citywide campaign. 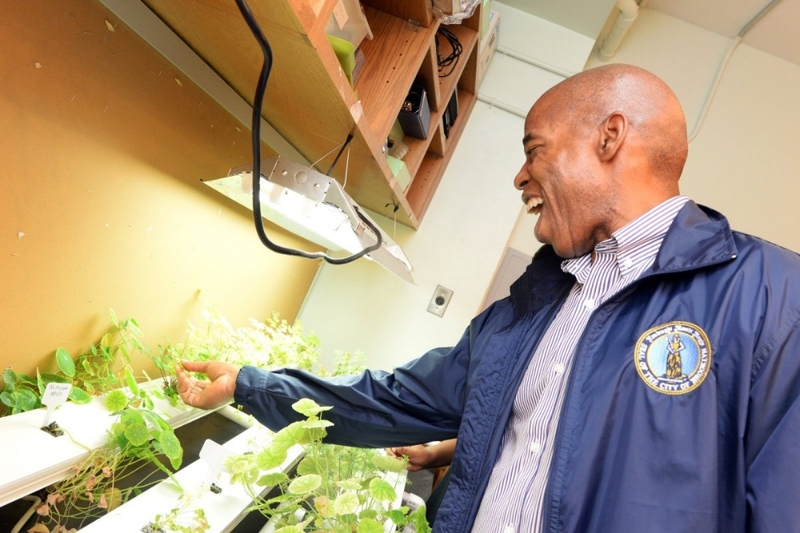 He holds discussions about the benefits of a plant-based diet at the Brooklyn Chamber of Commerce, has implemented a policy mandating all events at Borough Hall have plant-based options and has built a community for doctors who focus on plant-based nutrition. Not to mention, he has helped start community-based plant-based challenges in churches to further spread the message that a plant-based diet leads to better health and longevity. Eric Adams is all about empowering people and giving them the tools they need to fight for a better food system. If you want to learn more about how to affect this kind of change in your community, do not miss this episode!